Le Corbusier—The Measures of Man offers the most up-to-date picture we have of Le Corbusier’s achievement. A new generation of researchers and curators looks in particular at his lifelong study of human proportion and how the human body should be housed. Created to accompany a breathtakingly ambitious retrospective at the Centre Pompidou in Paris, the book traces Le Corbusier’s life and work from his earliest days through his greatest successes and lasting influences. It covers not only his iconic building designs and bold plans for city centers, but also presents a substantial exploration of his achievements as a painter and sculptor. 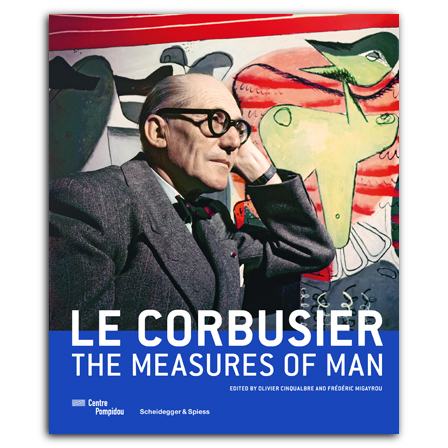 Lavishly illustrated with nearly five hundred images—three quarters of them in full color—Le Corbusier—The Measures of Man is an incredible celebration of the master architect’s achievement. Introducing him afresh from today’s perspective, it will be absolutely essential for both his admirers and his critics. With contributions by Rémy Baudouï, Olivier Cinqualbre, Arnaud Dercelles, Marie-Jeanne Dumont, Maïlis Favre, Roberto Gargiani, Jan de Heer, Geneviève Hendricks, Aurélien Lemonier, Frédéric Migayrou, Cloé Pitiot, Anna Rosellini, and Roxana Vicovanu. Prefaces by Alain Seban and Bernard Blisténe. is an architect and architectural historian. He is curator of the architectural collection at the Centre Georges Pompidou in Paris. is deputy director of the Centre Georges Pompidou in Paris and chief curator of its department of industrial design. He is also a Professor of Architecture at London’s Bartlett School of Architecture.